Time Blocks: When you use them wisely, you’ll stop feeling like you’re spinning ‘backwards’ every day. Here’s why those things didn’t work for you…you weren’t attacking the real problem. You weren’t understanding what was happening in your mind during the ‘witching hour.’ That window of time that we all dread every afternoon. We know it’s coming, the dread builds and then we just want to run and hide. You’ve even tried those really expensive and maybe not so kid friendly “meal delivery” services. And you made dinner, once. You had to stop because $$$$$$. It helped, if ever so briefly. But you can’t afford that for your family every night. The guilt of throwing away food digs in. The frustration of spending more than you want on takeout or the drive thru digs deeper. Dinner is difficult. All meals are difficult. But they don’t have to be. Not when you identify and work at understanding the “mental tornado” that happens during the dinner prep time. I have the joy and pleasure of feeding 4 boys and my husband, every day. 4-5-6 times a day. Rather than always drowning in this need to eat at all hours of the day (and never leaving the kitchen), I decided to implement a new policy to help me stay one step ahead. That policy is crucial for me not feeling overwhelmed or frustrated by food. As a mom, it’s in my DNA to feed my children. And I want it to be a joy-filled thing to feed my children. But they have to eat all.the.time. And the joy fades away, quickly. But…not when I’m ahead of the game. Not when I know what’s coming next. This is the key to not feeling overwhelmed by the never ending food needs of your people. You have to know what’s coming next. Do this for me quickly…jot down on a piece of paper the following. Write down a typical dinner prep session. Write down what it’s like when you’re in the kitchen. Write down what it feels like trying to battle your busy schedule with your family’s need to eat…all day, every day. Now, write out how you WANT to feel when you sit down with your family to eat. Do those things match up??? If not, then I want to help you. I want to help you go from being that mom who wants to grab a bottle of wine and make a dash for her closet (while her family eats without her) to that mom who’s engaged in the dinner conversation and strengthening relationships with her people, while enjoying a delicious meal. This is exactly what My Efficient Kitchen will help you achieve. You CAN succeed and experience a smoother dinner time experience. When you complete the exercises outlined in the program, you’ll start seeing results – big, awesome SANITY SAVING RESULTS…and you’re going to LOVE this newfound mental freedom. But if you feel like it’s not working for you, or that you aren’t getting the value from the program, you can request a refund. To be eligible for a refund, I simply ask that you show completed worksheets. 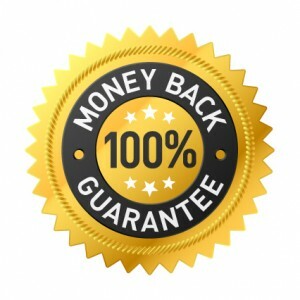 The only way to see results in any online course such as this, is to take action – if you can show me your work, and you decide you aren’t seeing results, no problem – I will happily refund your entire purchase and you can be on your merry way. This is my “show me you’re trying and if it doesn’t work, I’ll refund your purchase” guarantee. I want to have a group of committed friends who really want to make a difference in their lives. I should also let you know that you’ll have lifetime access to this content, so you can move at your own pace and convenience. 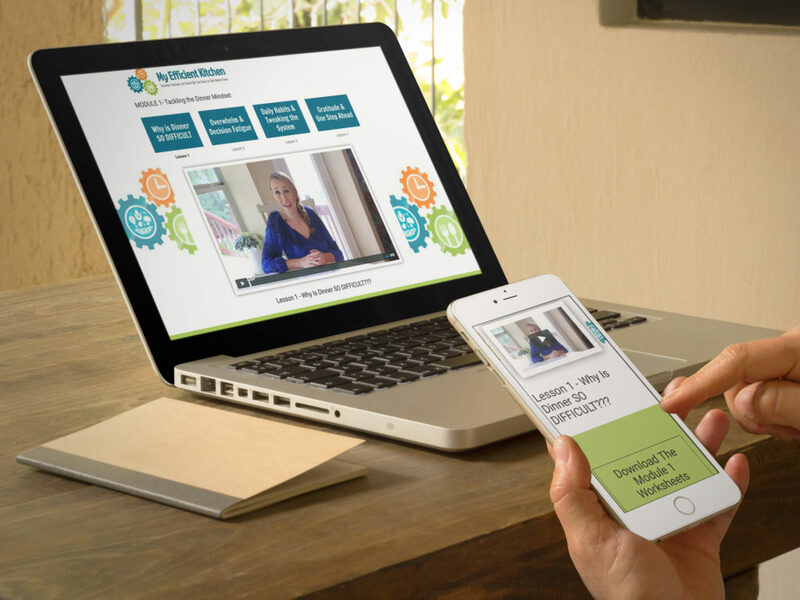 You can login to watch or listen to lessons at any time. …so I have some bonus gifts for you! It’s easy to just keep doing what you’re doing. Well, it’s easy because you don’t have to change…but it’s hard and frustrating to have to dredge through the witching hour every single day. You can keep doing what you’re doing and just bear the frustration and challenge. But I want something better for you. If you want to experience that smooth transition to dinner each and every night, you’re going to have to do something different. You’re going to have to learn a better way. Join the class and let’s work together to set up a dinner time experience that you’ll enjoy night after night. 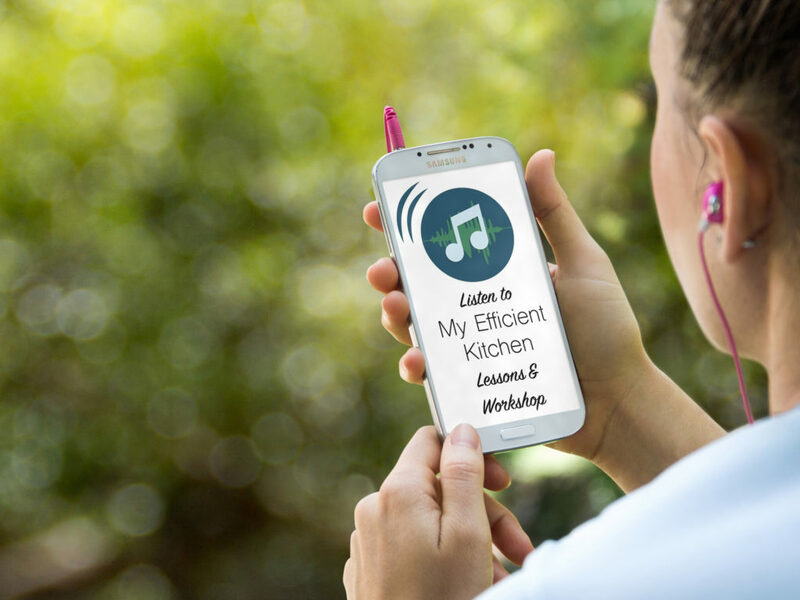 “I just finished the My Efficient Kitchen course, and I can’t recommend it enough to everyone. I’m a busy homeschooling mom, and these tips and tricks from Erin will become my new life savers! These tips are practical and easily implemented for your success. I’m starting today with time-blocks, and adding a few breakfast & lunch ideas to the freezer for more efficiency. Additionally, there is some great information about combatting common pitfalls and even a great refresher on slow cookers vs instant pots. Thank you, Erin! As always – you are my she-ro!” ~ Kim H.
Fill out the registration form and when your registration is complete, we will immediately send you the details you need to login and get started on the class right away. Be on the lookout for an email from [email protected] and if you don’t see it within the next few minutes, let us know and we’ll help you out. Let’s Turn the Witching Hour and Dinner Prep into a Well-Oiled Machine! Want to Learn More About the Class? Tap Here.